Knee High Mermaid Socks Just $7.99! Down From $20! Pre-order! You are here: Home / Great Deals / Knee High Mermaid Socks Just $7.99! Down From $20! Pre-order! 13 Deals has these Knee High Mermaid Socks on pre-order for $7.99 (Reg. $20)! 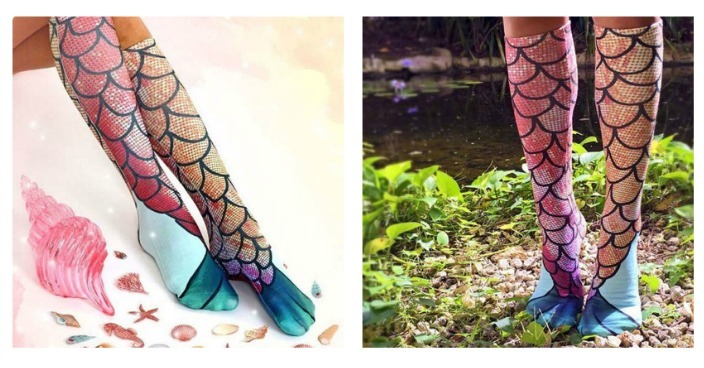 Let’s be honest…we all secretly want to be a mermaid and now you can with these super fun socks! Go ahead, let your inner mermaid-self shine through! Oh, and feel free to re-enact the “Part of Your World” scene…we won’t tell! Made of 100% polyester. Fits Women’s Sizes: 4-12!